Yomiyasusa Level (YL), started by Akio Furukawa of SSS Group in 2003, is a newly established way to measure the reading level of English books. 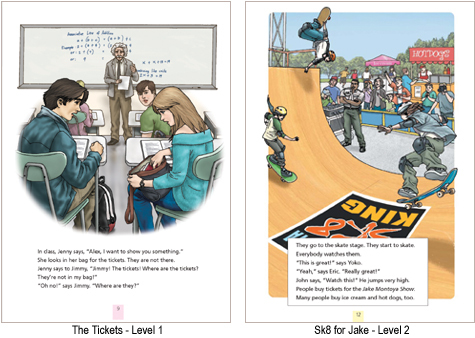 Factors like iｌlustrations, the backgrounds of the books, the size of fonts and different text styles will affect the reading level of the books. YL 0.0〜0.9　Readable without the knowledge of English language. YL 1.0〜2.9　Readable to learners of English with more than 80 hours of studying. YL 7.0〜7.9　Paperbacks (Stories) for adults.